By buying this product you'll earn up to 1935 Rewards points. WyreStorm's SW-0402-MV-HDMI matrix switcher and multi-view scaler lets you watch a variety of sources on a single display at the same time. Say you have a big TV or projector screen in your basement, and you want to keep up with multiple live football games. 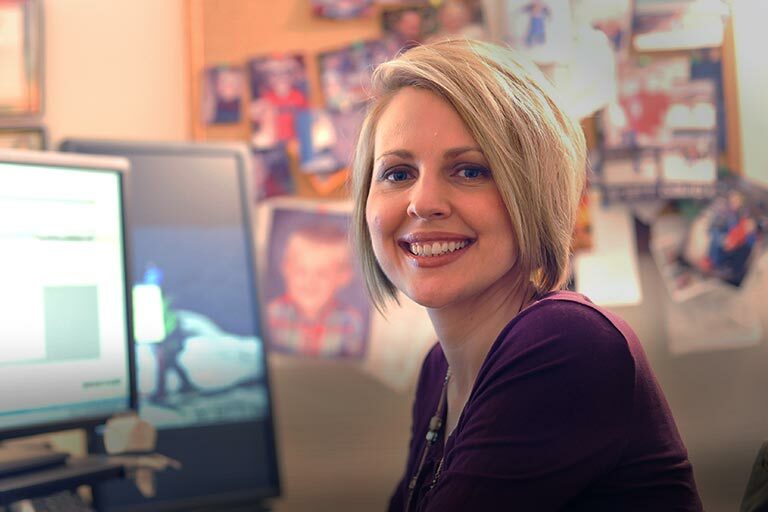 You can display one, two, three, or even four games in a variety of sizes and screen positions at the same time. 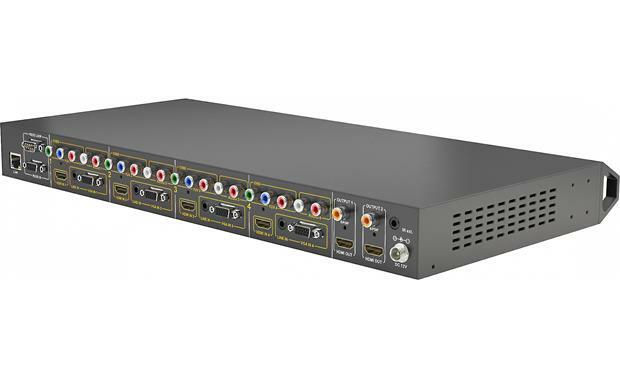 This matrix has four banks of inputs, each offering HDMI, component video with stereo audio, and VGA with stereo minijack connectivity. Two mirrored HDMI outputs let you send signals to your main display, as well as to an optional WyreStorm HDMI-over-Ethernet extender for transmission over long distances. Flexible configuration and control options come courtesy of front-panel buttons, a web-based user interface, RS-232, or the included handheld remote control. Is this HDCP 1.2 compliant? 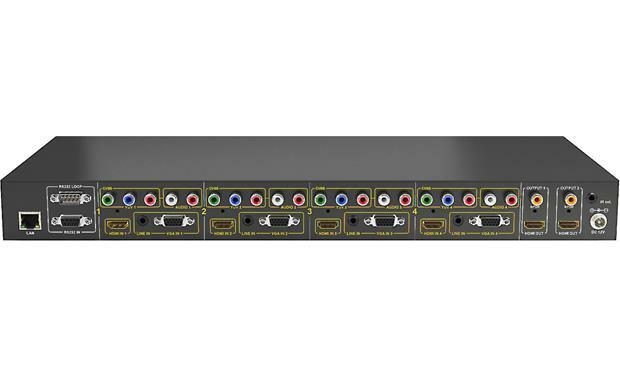 4-input (12 source) Multi-View Scaler with 2x 4K UHD Outputs: The WyreStorm SW-0402-MV-HDMI multi-view scaler and 4x2 matrix enables seamless 4x2 matrix switching and upscaling between analog and/or digital AV sources with dual 4K HDMI outputs. Additionally, up to four HD inputs are able to be switched, scaled, and arranged in any size or configuration and presented in full resolution simultaneously on a single HD 1080p or UHD 4K 2160 display. 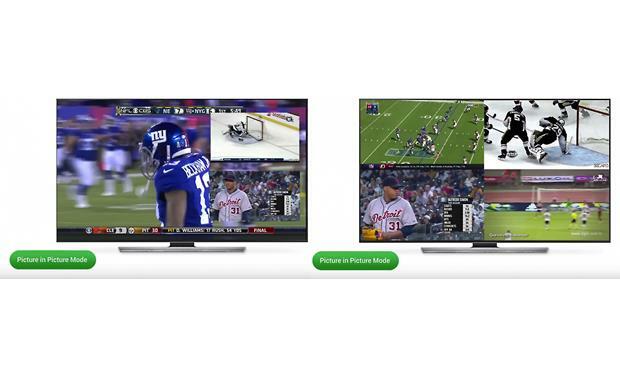 QuickSync Technology: WyreStorm's QuickSync technology offers virtually instantaneous, seamless source switching free of glitches or tears between video streams for an enhanced user experience worthy of any professional video distribution installation. Dual HDMI outputs w/ UHD 4K 2160 Scaling: The WyreStorm SW-0402-MV-HDMI has the powerful ability to scale its video inputs up to resolutions of 3840x2160p through its dual HDMI 1.4 outputs. The dual HDMI 1.4 outputs support up to 3840x2160p @30Hz 4:4:4/8-bit (7m/23ft) or 3840x2160p @24Hz 4:2:0/HDR 10-bit (3m/9.8ft). Note: The use of patch-panels, wall-plates, cable extenders, kinks in cables, and electrically or environmental interference will have an adverse effect on HDMI and Ethernet transmission limiting performance. Steps should be taken to minimize or remove the factors completely during installation for best results. HDMI Multi-View Switching: With built-in HDMI multi-view switching, the SW-0402-MV-HDMI gives you the capability of viewing any or all sources on a full or partial screen, PiP, 2x2 quad-screen view, or any custom area of the screen. The unit is equipped with dual HDMI 1.4 outputs. The built-in advanced image processor controls source opacity, window size and position, image border, pixel width and more. Multi-View/PIP Mode: When a Multi-View (MV) mode is selected, the screen will display a main source and three other sources in smaller Picture-in Picture (PIP) windows, While the layouts can be customizes, there are 4 presets that correlate to the front-panel and handheld remote buttons. The output to each display is mirrored during Multi-View mode displaying the same content on both displays. Quad-View Mode: When a Quad-View (QV) mode is selected, the screen will display the sources in 4 quadrants on the screen. As with Multi-View, there are 4 presets that correlate to the front-panel and handheld remote buttons. The output to each display in independent during Quad-View (QV) mode allowing for different content on each display. Matrix Mode: This mode allows for a single image to appear on the display from a single source. 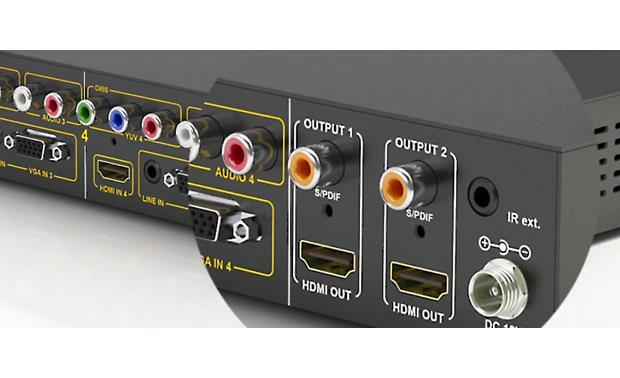 Array of Audio/Video Input Options: The WyreStorm SW-0402-MV-HDMI is a 4-input to 2-output scaling device that allows both analog and/or digital AV sources to be connected. The SW-0402-MV-HDMI shows its versatility with an array of audio and video input options; which include HDMI, VGA, YUV, plus YUV/CVBS and VGA audio inputs, combined with cascading capabilities making the SW-0402-MV-HDMI a perfect solution for professional and residential applications. Video Inputs: Each of the four source input locations have three connection options - HDMI 1.4, VGA, or YUV/CVBS. The HDMI 1.4 inputs support up to 1080p. YUV/CVBS: The YUV/CVBS analog video inputs can be used as component or composite video jacks, and only support up to 480i. VGA: The VGA inputs consists of 15-pin D-SUB15 jacks that support up to 480i. Audio Inputs: Additionally, each analog video input includes an audio input (stereo 3.5mm minijack for VGA and stereo RCA L/R for YUV/CVBS) for embedding the video with an external audio source. Audio Outputs: The WyreStorm SW-0402-MV-HDMI also has two coaxial S/PDIF output to allow audio signals from any of the four inputs to be sent separately to an audio amplifier. Front-Panel Display & Controls: The front-panel LCD displays current source selection and source type for each output. Push-button controls on the front-panel allow you to select between input, source type, and output. IR Remote Control: The included IR remote control provides wireless operation of the WyreStorm SW-0402-MV-HDMI multi-view scaler and 4x2 matrix. Custom Integration (CI) Control: An Ethernet jack provides IP control when the SW-0402-MV-HDMI us connected to your network router. 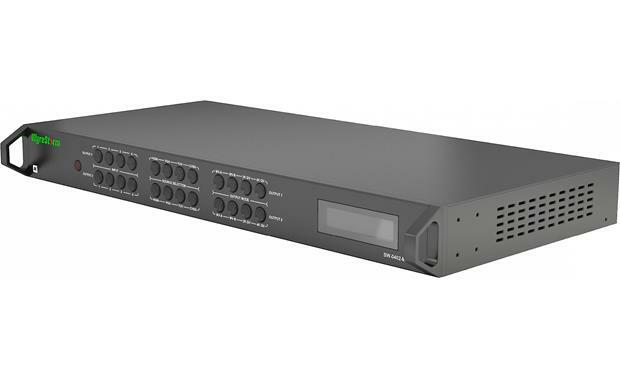 The RS-232 ports allow you to connect the multi-view scaler and matrix to a 3rd party control system to operate the switcher and loop to other switchers. Use The IR Ext 3.5mm port to connect an IR receiver when the switcher is placed in a cabinet out of rang of the included IR remote control. WyreStorm Management Suite: The WyreStorm Management Suite is an All-in-One software tool that allows quick and easy access to all of WyreStorm's configuration tools for their switchers and matrixes. The SW-0402 Console program within the WyreStorm Management Suite provides control over the SW-0402-MV-HDMI multi-view scaler and 4x2 matrix from your computer (configure custom PIP layouts and presets, as well as adjust all system setting. You computer will need to be connected to the SW-0402-MV-HDMI's RS-232 input. Note: Bonjour is a requirement to use the WyreStorm Management Suit and must be installed before installing the configuration tool. Typical Application: A typical application for the SW-0402-MV-HDMI contains the following components. While other items can be added to the configuration, the components listed below are the device typically found in the average installation of this device. Mounting Options: The WyreStorm SW-0402-MV-HDMI should be installed on a solid, flat, level surface such as a table, cabinet or shelf using the four included feet. Rack ears (mounting brackets) are also included for installation of the SW-0402-MV-HDmI in a standard 19" equipment rack. When installing in a rack, the attached feet located on the bottom of the chassis must be removed. Whichever mounting option you choose, the location should be well ventilated. 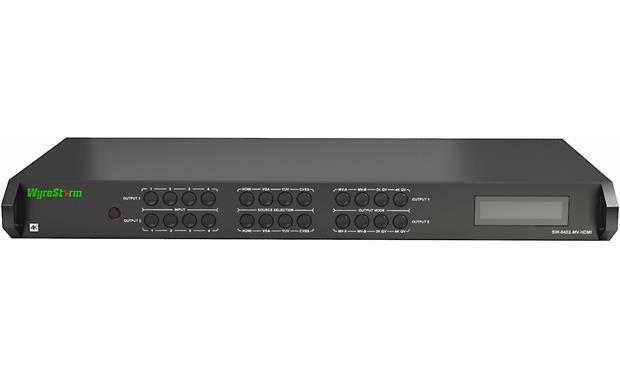 Searches related to the WyreStorm SW-0402-MV-HDMI 4-HDMI input, 2-HDMI output matrix switcher and multi-view scaler.